April is a busy month for Blizzard’s popular digital collectible card game. In 2019, it showers Hearthstone players with a new expansion, Rise of Shadows, which kicks off the Year of the Dragon theme and a year-long story campaign – a first for the game. At the end of the month, top players will battle it out to win the million dollar Hearthstone Championship Tour World Championship in Taipei. The format for Hearthstone competitive play changes dramatically this year: ladders have been created for ordinary players to more easily advance into esports, and Grandmaster competitions are becoming mostly online events. It’s also a special year for the game as, in March, Hearthstone celebrated its fifth anniversary. Despite its ripe old age, Hearthstone is still enormously popular: Blizzard announced in November 2018 that the 100 millionth player had joined the game, and Hearthstone’s been in the top ten most-watched games on Twitch for most of its existence. 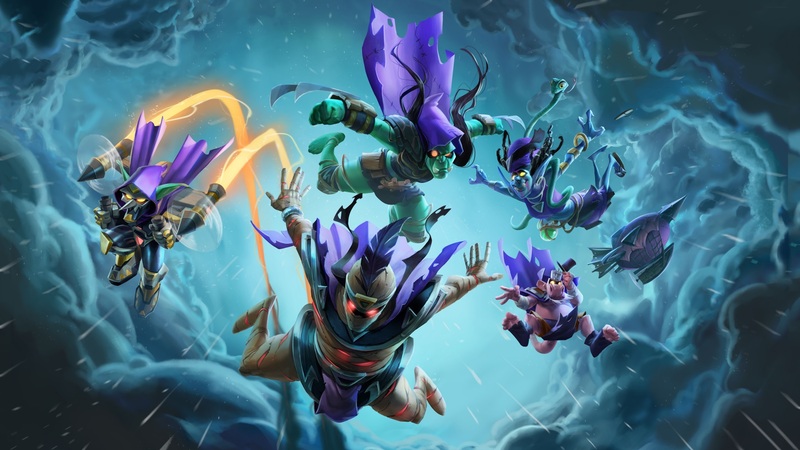 We met with creative director Ben Thompson, lead designer Mike Donais, and global esports franchise lead Sam Braithwaite to discuss insights from five years of the world’s favourite digital card game – and the onslaught of changes to come. PCGN: After five years and a steady three expansions per year, is your list of new gameplay ideas starting to thin out? Ben Thompson: There are more ideas out there than we can ever use. To be fair, you have to be willing to go a little bit crazier to hit some of those ideas. As the game goes on and people understand the basics, we’re ready for a little bit more crazy. We give you legendary spells, legendary weapons, new hero cards, new card types. I think you’ll see more and more of that as we go forward, with new expansions and new mechanics. Do you worry about introducing too many mechanics for players to remember? BT: Yeah, I’ve certainly felt it when I played other games of different types, where there’s a lot of stuff going on. What exactly does this mean, and what does this mean, and this mean? I can figure out maybe what one of them means, or maybe I can Google and learn one, but all of them at the same time can be overwhelming. Mike Donais: We’re doing it right, or we feel we’re doing it best, when the word and the supporting visual help educate the player outright and they won’t have to guess. BT: We’re definitely concerned whenever we make a new mechanic. We have the little tooltip that no one reads that explains what it does. One of the things we do is bring in designers from all of the different Blizzard design teams and non-designers too, and we show them cards. We’re like, ‘What do you think this card does?’. We don’t tell them. We’ll show the magnetic card, ‘What do you think?’. ‘I have no idea’. ‘Take a guess’. They’ll guess. If enough of them get it right, we’re like, hey, we’re getting there. What’s one thing that sets Hearthstone apart from other, more recent card games? MD: I actually think one of the big differences between Hearthstone and all the clones that are popping up is the animation quality and the art quality, just the graphic design. It’s just so next level that it’s hard to compete with. BT: The board is always a great place to start. There’s a lot of different fun interactions that members of the art team spend weeks coming up with and brainstorming among themselves. Fun little things to do while waiting for your opponent to take their turn or rope out. What makes now the right time to change up Hearthstone esports? Sam Braithwaite: We really felt like we accomplished most of the goals that we had laid out with the [Hearthstone Championship Tournament] system. 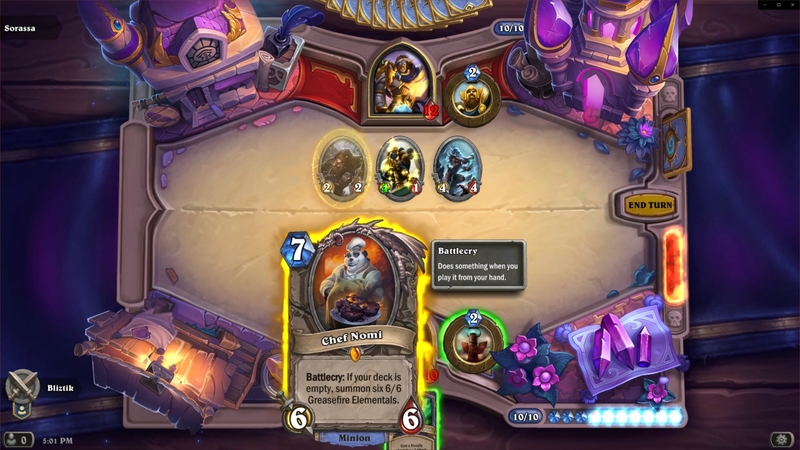 One of our primary goals was proving that Hearthstone is a game of skill versus RNG. What we’re seeing is that Hearthstone is absolutely a game of skill. We’re continuing to see the same faces pop up. What do the changes mean for top pro players? SB: The feedback that we’ve gotten is that Hearthstone esports and the HCT system is a grind. Competitive players were non-stop travelling. They were grinding the ladder 24/7, and the way in which they were receiving points was inconsistent. So we really wanted to streamline that and remove a lot of the grind. 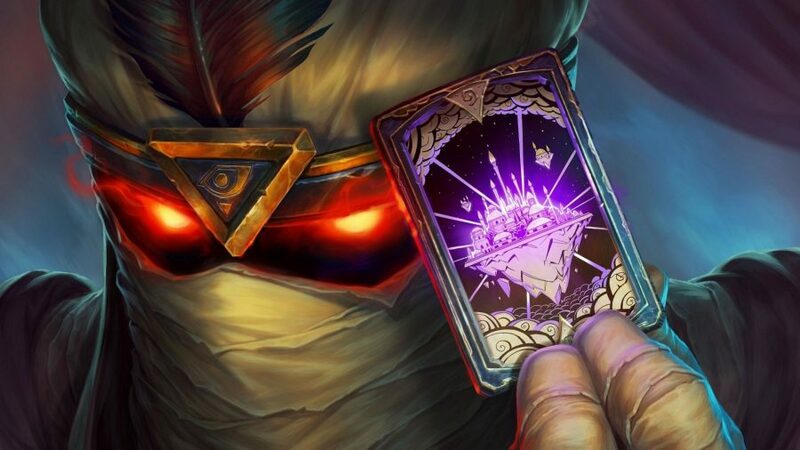 As a demonstration of how active Hearthstone players are, look to a recent ‘infectious’ card back: the Mark of Hakkar. Blizzard gave the back to 200 players globally; everyone they played against earned and auto-equipped the card back, in turn transmitting it to others. In less than 24 hours, nearly every active Hearthstone player had been infected. These pros that are [now] in our Grandmaster system, they automatically qualify for every single event that we do. Some of the other feedback that we get is that the pros, once again due to the grind, are unable to stream – they’re unable to create a brand and identity for themselves. So one of the decisions that we decided to make was to have Grandmasters be an online league. With the new Rise of Shadows expansion, several beloved cards have been moved from Standard mode to Wild-only play. What strategy goes into those decisions? MD: We think it’s really important to let people keep playing those. That’s why we moved them into Wild. For druid Naturalize [which destroyed an opponent’s minion], we talked about changing it into a battlecry, for example, which would’ve made it much safer and maybe too weak. There are always some people who love a deck. I feel for them. I love decks that have moved to Wild also. I’ll play Wild when I feel like playing those decks. I’ll play Standard when I feel like playing something that’s ever-changing. What have you determined is the ideal length for a Hearthstone match? MD: Ten minutes. Ten turns. It’s not like we try to make every game that, because that would be horrible. There’s a mix. Some are fast. Some are medium. Some are slow. Some are combo. All kinds of different things, so the game feels rich. It averages out. How do you figure out what ‘feels’ like a priest card versus a druid versus a rogue? BT: We made this class identity chart. We’ve been evolving it over the years. Now I think we’re pretty solid. One of the things that’s really important in class identity is having clear weaknesses.It’s often better than strengths. We do have a list of strengths, but there are clear weaknesses, like druid can’t do single target damage. Rogues can’t do AOE. What have you learned over the past five years about how to make cards that have a class fantasy feel, but are still fun to keep playing against? BT: Take priest, for example. The idea of stealing cards felt awful. Copying cards felt less bad – the idea that you didn’t take an option from me. You just copied an option. Now you feel good. It still gets that class feeling while not taking away options from me as a player, because any time you stop someone’s ability to have options of their own, or shortcuts how their deck is intended to play, it inherently makes that game feel bad. Ultimately, maybe the game as a whole if I’m just never going to like playing against priest. Things like that, little moments where we get to make a little nudge to a decision that makes it feel better for everybody, but still keeps the goals of that kind of feeling in plays, are great.